It's the 30th anniversary of the STi and, in celebration, Subaru South Africa has commisioned 30 very special vehicles – the Subaru WRX STI Diamond Edition. 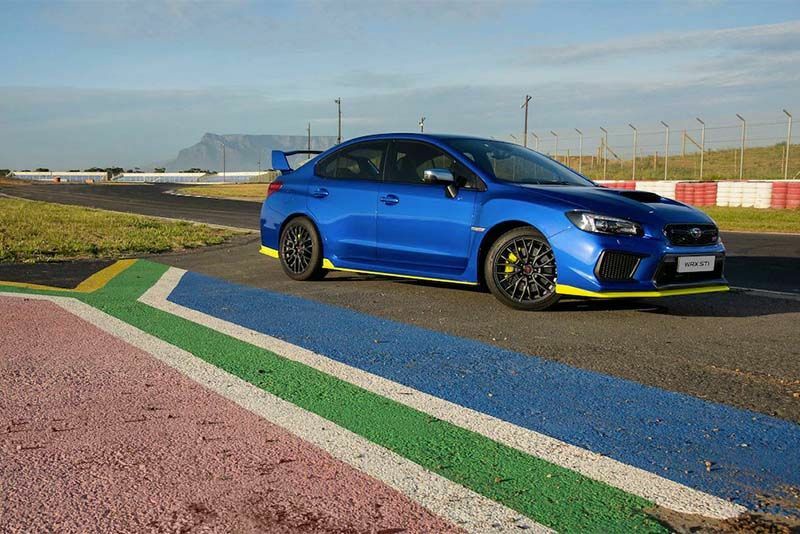 That's right, only South Africa will be receiving these 30 cars but, if you live in the US or Canada, you could probably get your hands on one of the 500 the WRX STI Type RA that'll end up there. There is, of course, the Subaru WRX STI TC 380 – the most powerful of them all at 380 hp – but there'll only be 50 of those produced for sale in Japan only. Back to the Diamond Edition though, and Subaru SA shared some of the details with us. The most notable of the visual clues is surely that striking yellow body kit that includes a front splitter, side skirts, and rear diffuser and Brembo brakes. Choose the exterior paint colour carefully though as that yellow is rather bright. Subaru reckons the car hit 100 kph in 5.03 seconds and 0-160 in 13.7 seconds. Lift up the bonnet and you'll be faced with the familiar 2.5-litre petrol engine, turned up a couple of notches. It delivers 260kW (349 hp) and 464Nm (342 lb-ft) of torque, making it the most powerful production STI ever released in South Africa. Even with this power upgrade, there's still a chunk of that turbo-lag Subaru is known for. It's all about the long wait to around 3500rpm and then it's chaos to 7000rpm, keep it on the boil and it's old-school fun. The STi is showing its age though, which is more apparent in the rather tired and well below par of its more modern contemporaries. Either way, it still looks the business after all these years and, the person most likely to splash R820 000 on the Subaru WRX STI Diamond Edition is going to be more interested in its performance, and that large rear wing. Watch the video below to see the Subaru WRX STI Diamond Edition in action.